Pilates is a mat based exercise class, performed with gentle background music, using precise movements and breathing techniques to build a strong and flexible body. It is a mind and body conditioning programme that targets the deep postural muscles of the abdomen to improve your core stability and posture. Anna has been teaching Pilates Matwork classes since 2010 and at Bury Physio since 2012 having completed the APPI Matwork Level 1 + 2 courses. Anna is also certified to run the Pink Pilates for Breast Cancer patients classes and APPI antenatal/post natal classes. Anna runs the Tuesday and Thursday evening Beginners/Improvers classes, Monday+Wednesday lunchtime express classes and the Pink Pilates class (normally scheduled for a Tuesday late morning). Cara Duerr is a senior Chartered Physiotherapist with 10 years experience with a special interest in back problems and musculoskeletal disorders. 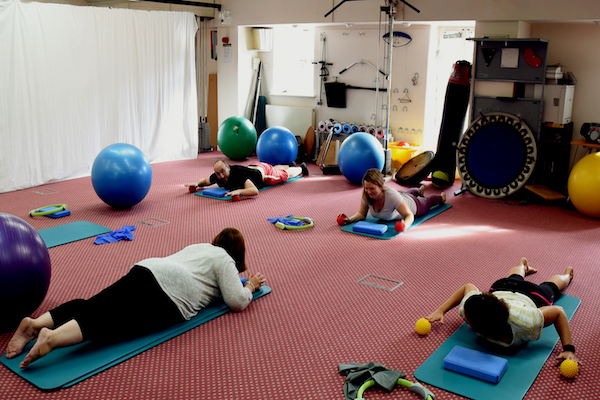 Cara has undertaken further training with the Australian Physiotherapy and Pilates Institute completing Matwork 1-3 (APPI- www.ausphysio.com). As a chartered Physiotherapist Cara can offer her clients the highest standard of care and make individual modifications to the exercises, taking into account medical and physical condition. Cara has been teaching Pilates since 2008 starting in Cambridge for Physiopilates and at Addenbrookes Hospital (targeting people with lower back pain) before setting up Bodyline Pilates in partnership with Bury Physio. She is committed to continually updating her Pilates knowledge and techniques by regularly attending courses run by APPI. Her latest courses include Pilates and small equipment (theraband, magic circle and spikey balls), pre and postnatal Pilates and Pilates for skiers. We supply all equipment for our classes – mats, spikey balls, sitting blocks and theraband and gym balls. We have a maximum of 10 people per class because this allows clients to have more individual attention and care to their posture and their needs throughout the class. This results in a safer environment and allowing clients to achieve better results. 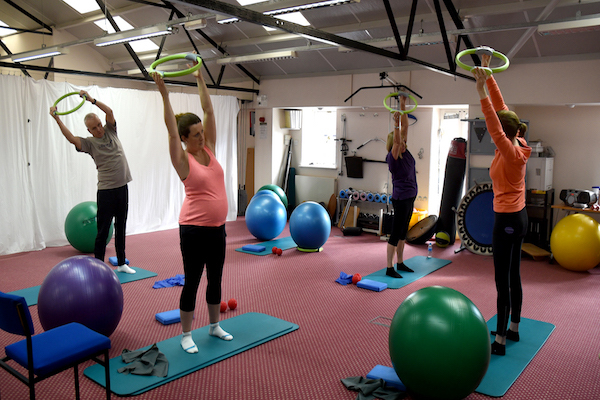 Pilates suits people of all ages and fitness levels and is particularly beneficial for those with back pain, poor posture, recovering from sporting injuries, arthritis and before and after pregnancy.